Connect with colleagues: Through NFPW you can find experts and tap into their knowledge. The key, of course, is reaching out to other members and getting to know them. During the 2011 conference we hosted a POWER Networking session where members had two minutes to share their professional stories. Members came away with information about each other and a stack of business cards for follow-up. We hope to do the same during the 2012 conference. State affiliates also hold meetings and workshops. In Virginia we also have district meetings, which allow us to connect with a smaller group of members, providing opportunities for more in-depth conversations. Collaborate more effectively: While Yammer was referring to online collaboration, NFPW also provides such opportunities. NFPW is active on Facebook and LinkedIn, which allow for quick and easy discussions. A recent discussion focused on whether bloggers should be considered journalists. We also share job openings and recently members reached out to others asking for “likes” on their Facebook pages for their books or magazines. If someone is looking for information quickly, our social sharing sites are an ideal spot to get the information. Share your knowledge: Again, Yammer was referencing sharing online through Yammer, but NFPW offers several ways to share knowledge. Members post on Facebook and LinkedIn. Members also share stories through a quarterly newsletter and the website. Not only are members sharing their expertise, they are being recognized for their contributions. During last year’s conference NFPW conference several members, including Ruth Brown of Nebraska Press Women and Jill Miller of Wichita Professional Communicators, shared their expertise during workshops. What do you get from your membership and how can we leverage that with potential members? Have You Thanked Your Mentor? I serve on the board of Virginia Mentoring Partnership. Our mission is to provide educational services to existing and developing mentoring programs to increase the number and quality of mentoring relationships for children and youth in Virginia. While preparing materials for National Mentoring Month, which is the month of January, our board also discussed a highlight of the month — Thank Your Mentor DayTM, which is celebrated tomorrow. It’s a day to reach out and thank those individuals who have encouraged and guided you. I’ve been blessed throughout my career to have several mentors. 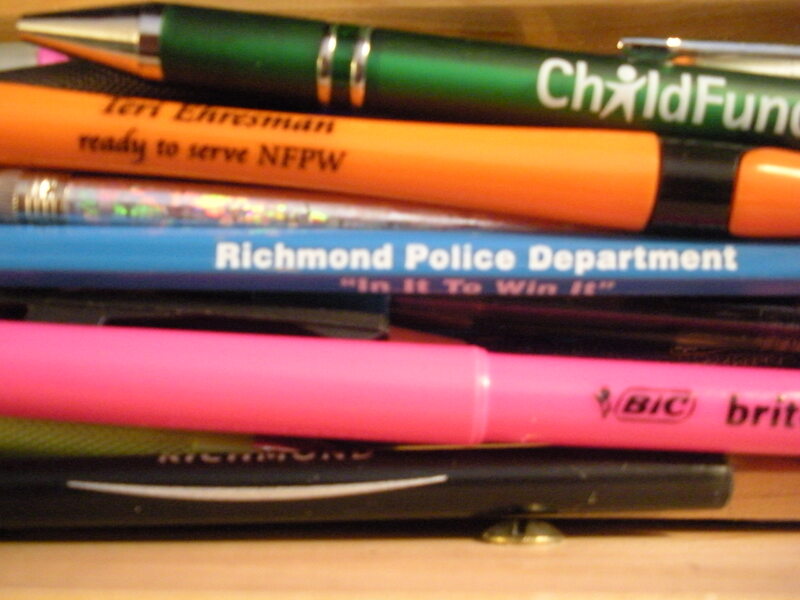 I also mentor and have participated in several communications mentorships through the Richmond chapter of PRSA. Write a tribute to your mentor for posting on the “Who Mentor You?” website. A mentor is described as a wise and trusted counselor or teacher or an influential senior sponsor or supporter. Who has mentored you and how have they impacted your life? Most of us were taught to cross our t’s and dot our i’s. But there’s a new generation of tech-savvy children who live to text. Most print if they have to write on paper and few know how to write using cursive or script. Time Magazine mourned the death of handwriting back in August 2009. If you are aren’t sure to whom to pen your missive, why not write a note to a colleague about a job well done? Or you could send a note to someone who is ill. You could even get a head start with Valentine’s Day and pen a love letter. 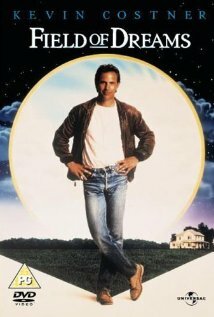 And if you’re wondering why Jan. 23 was chosen to celebrate this day, it’s because it’s the birthday of John Hancock, the first person to sign the Declaration of Independence. Did you know it takes 30 days to make something a habit? In January, you may hear this touted quite often. It’s how long it takes to create a gym habit. It’s how long it takes to stop eating after 8 p.m.
What habits do you need to make or break? I’m still working on creating a workout habit. It’s going to be a bit easier now because I’ve enlisted reinforcement. Louise Seals and I are still walking and now we have a 10K to get ready for (thanks Louise!). My neighbor also wants to get ready for the 10K so I’ve agreed to walk each Saturday morning with her. I’ve got a volleyball team that plays for two hours each Tuesday. And a trainer helps motivate me another day of the week. By the end of January my habit should be formed. If it’s not, my local Y gave me an extra incentive. I need to workout at the Y at least 3 times/week during the next four weeks. A Wellness Coach will punch my card. I turn in the completed card for a prize and I’m entered in a grand prize drawing! When it comes to breaking or creating a new habit, we often need an extra incentive. I want to see my card completed. I also want to get fit. At work, I want my habit to be that I am out the door by 6 p.m. or earlier (and I’m not coming in any earlier). No more 10- or 12-hour days! I printed a blank calendar and every day that I leave by or before 6 p.m. I cross off the day. At the end of 30 days, I’m hoping I’ll have created a habit (although I suspect I may need 60 days for this habit to take root). I also gave myself an incentive. When I succeed, I get to buy myself a prize. What habits are you trying to create? A little more than a week into my effort to take a photo each day, and I find myself struggling. When I go to work and when I come home from work, it’s dark. I joked with a friend that I was a vampire. Nancy – bless her heart, as we say in the South – suggested I photograph the night sky one evening as I was lamenting that I had yet to take a photo. As we talked, though, I realized I was grateful for her friendship. How do I photograph that when she wasn’t nearby? Easy. She gave me a hand painted wine glass that I’ve been using every morning for juice. Okay, I admit it, I also use it most evenings. I photographed the glass. My photography project is not designed to be another chore or item to check off my list. It’s part of my effort to appreciate the simple pleasure of life and to be grateful. It’s also an opportunity to practice my photography. And’s it’s also a reminder about creating balance. My year kicked off with a series of day-long meetings at work. They’ve been informative, creative and strategic, and I’m enjoying them. The downside is that I’ve had little time for day-to-day deadlines and projects so I come in early or stay late, which leads to long days. This photography project, though, forces me to think about what I do appreciate. One day I photographed a basket of volleyballs at the gym. I’m playing with a new team, and I’m grateful for that. 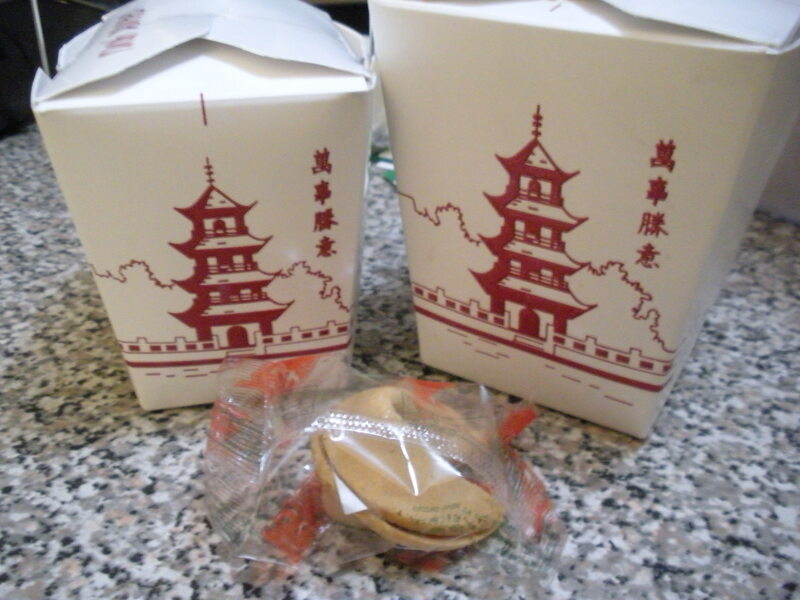 The other night, driving home, I was grateful that I have enough money to call for takeout. I’m grateful that there is a terrific Chinese restaurant near my house. I’m grateful that the restaurant is on my speed dial. All of this leads to today’s photograph of takeout boxes. How are you doing so far in 2012 with your resolutions and goals? I don’t know about you, but I don’t use a Rolodex any more. All of my contacts are stored in Outlook and LinkedIn. It’s handy because the information is always with me. What’s not so handy is that I often have difficulties remembering a name or a company. But I can remember the color of the business card or the unique graphic. When I had my Rolodex, I would simply twirl it until I saw the color or the graphic and then I could locate the information I needed. I won’t forget Lynn’s business card. I also won’t forget the name of her company or Lynn herself because of how she presented her business card to me. Instead of simply handing me a card or sliding it down the table, she came over to me and before handing me her card, she began to fold the 3-3/4-inch square. 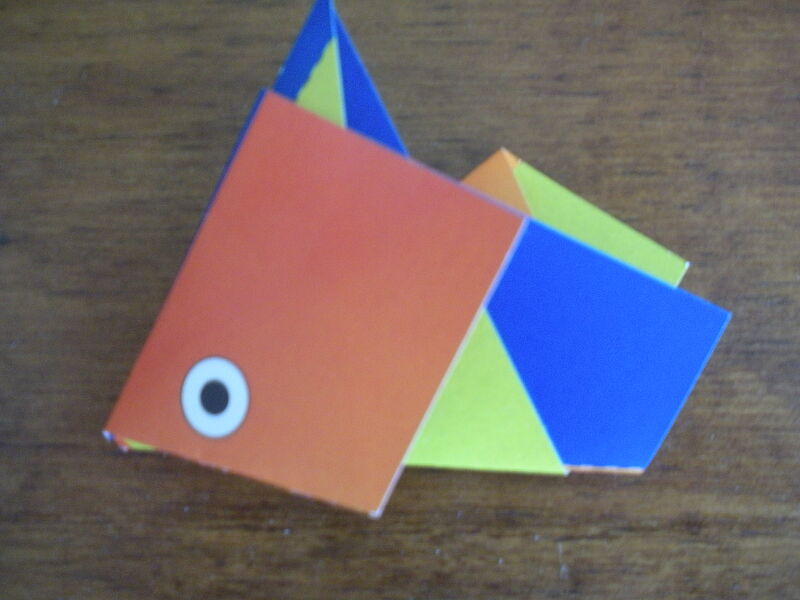 By the time she was finished, it resembled a multi-colored fish, specifically a koi. “Cards are evolving. It’s really about what you do when you hand the person your card,” Lynn said to me. As she folded the card, she told me about how her firm and what it offers. She also told me that it has a koi pond in the middle of the office. ... and ends as a koi. 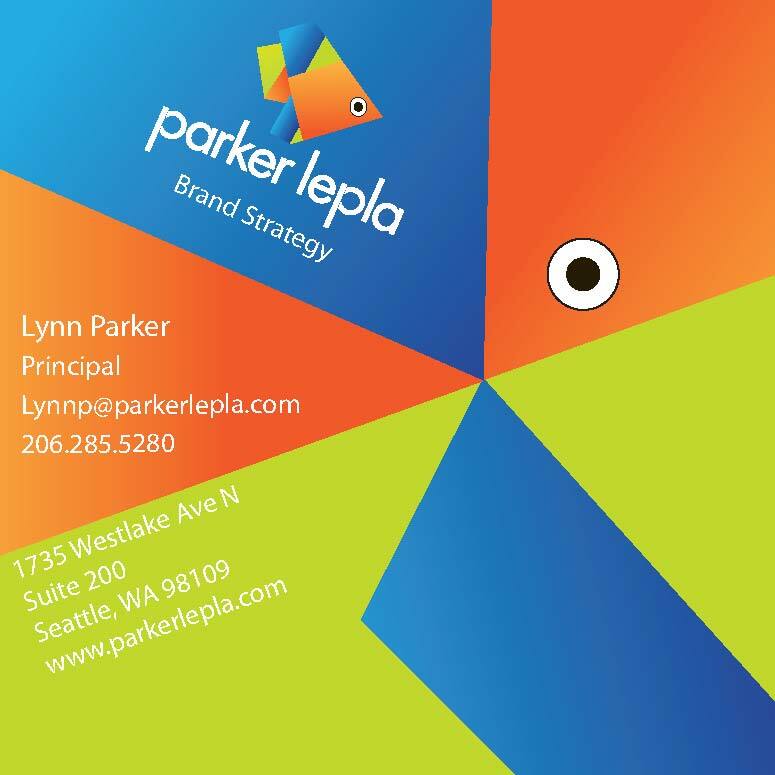 Does your business card tell a story?